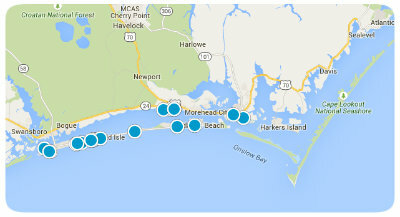 Cape Carteret is an area that has both seasonal visitors as well as permanent residents. It is located at the base of the Emerald Isle high-rise bridge along the Intracoastal Waterway and just minutes from the beaches. There is excellent boating, fishing and water sports in this area as well as the many festivals and activities that are offered in the close surrounding areas. It has a population of about 1900. It has some beautiful homes and condos in this area and of course most of them have water view and access. Cape Carteret has the south end of the islands' main grocery store and Lowes stores for shopping as well as diverse restaurants. BB&T Bank as well as Sound Bank and First Citizens Bank have locations here as well. Additionally the Star Hill Golf course is located in Cape Carteret. 28584 is Cape Carteret’s zip code served by the Swansboro Post Office. 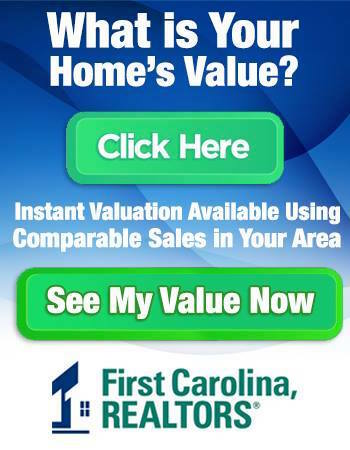 Cape Carteret new homes, real estate and commercial properties are in the First Carolina, REALTORS® MLS Search or use the advanced search. Give us a call today and let us show you this very popular area and all it has to offer here and in the surrounding areas. We know you will enjoy seeing all that is available.